Campanella can sometimes be a real left hand (or fretting hand) workout. You can end up moving your hand all over the neck to try and find a note on another string. The beauty of this arrangement is that it’s not the case here. Look how little Jon’s fretting hand moves to begin with. He’s getting a lot of notes with minimal movement, which is a huge bonus. Take a look at the tab below (the PDF version is linked to at the bottom of this article). Take it very slowly to begin with. Aim for fluidity rather than speed. It’s better to play it slow and correct than fast and wrong. Watch Jon’s performance to get to grips with the finger placement and don’t forget you can slow down Youtube videos by clicking on the gear icon in the bottom right corner and selecting speed. 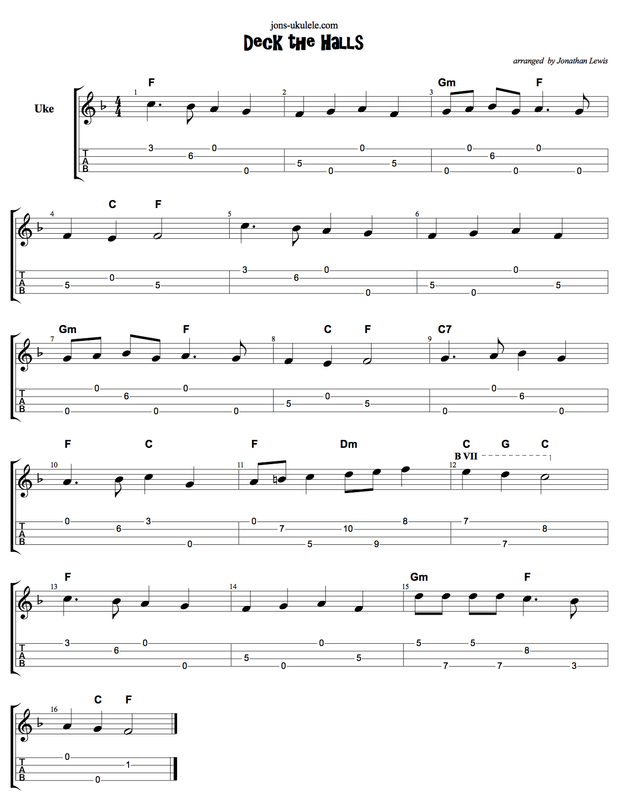 One tip that I’ve really started to lean on when working with arrangements that I can’t immediately play is to take them a single bar at a time. I’m always mindful of the next bar, but if I can get through even one bar in each practice session then that’s progress. 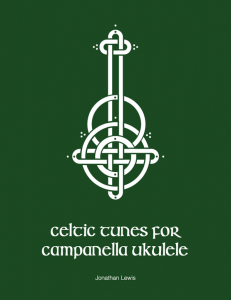 If you enjoy this tab and find that you’re liking the campanella sound then I’d highly recommend you take a look at Jon’s ebook – Celtic Tunes for Campanella Ukulele. 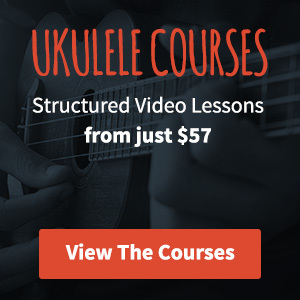 The ebook contains 40 brilliant campanella arrangements (and supporting Youtube videos) to help you learn.